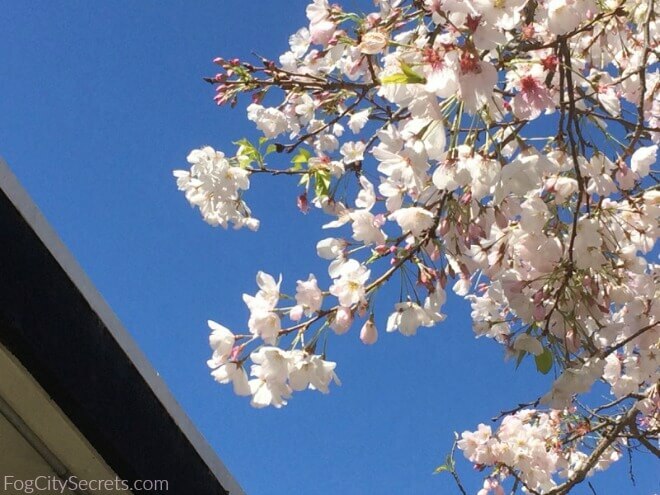 San Francisco Cherry Blossom Festival 2019: | Pink blossoms and fun! When: April 13/14, and 20/21, 2019. This cherry blossom festival marks the 52nd year of celebrating the blooming of the cherry trees, or sakura, in San Francisco. How much more tranquil our hearts would be in spring. This annual festival is one of the most popular ones in San Francisco; over 200,000 people typically attend, but don't be scared off! 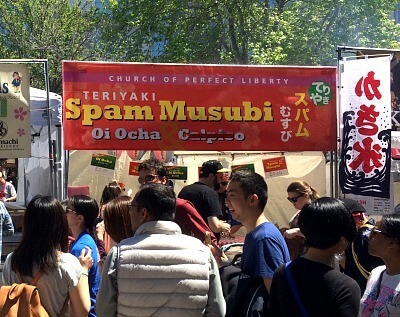 The Cherry Blossom Festival is lots of fun, and family-friendly; plenty to see, free entertainment, and tasty food to try. 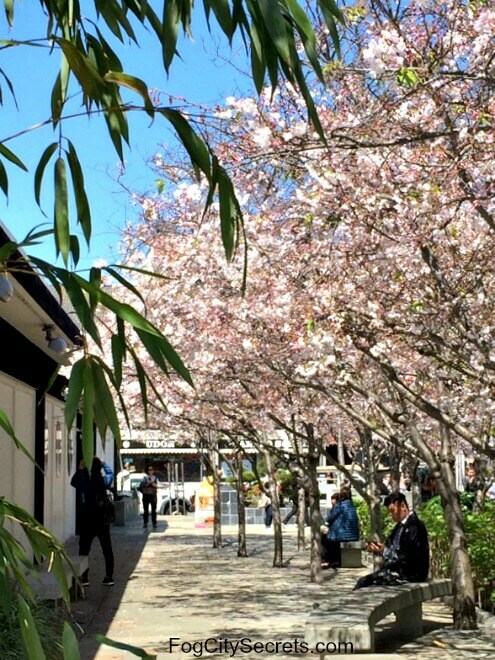 Much of the action is in the Peace Plaza between the East and West Malls in Japantown. They'll have a stage set up there, and you can watch the drummers, martial artists and traditional music and dance performances there. Another hotspot will be the Sakura 360 stage, on Buchanan Street between Sutter and Bush, where contemporary Japanese culture (J-pop) will be celebrated with song, dance, anime, fashion, and games. 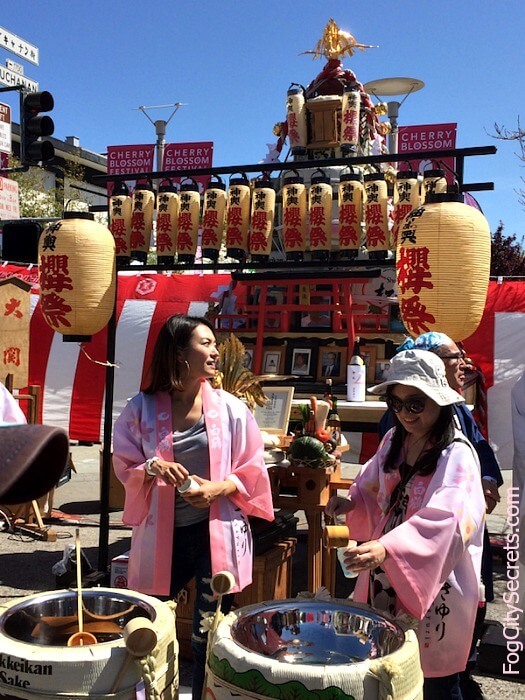 The rest of the events will be at various locations throughout Japantown. You can see displays of origami, bonsai trees, tea ceremonies, traditional doll-making, flower arranging, and more. Even "mochi pounding" ! The San Francisco Taiko Dojo will be performing all four days of the festival. These are the massive, thundering drums that have been used in Japanese cultural practices for centuries. 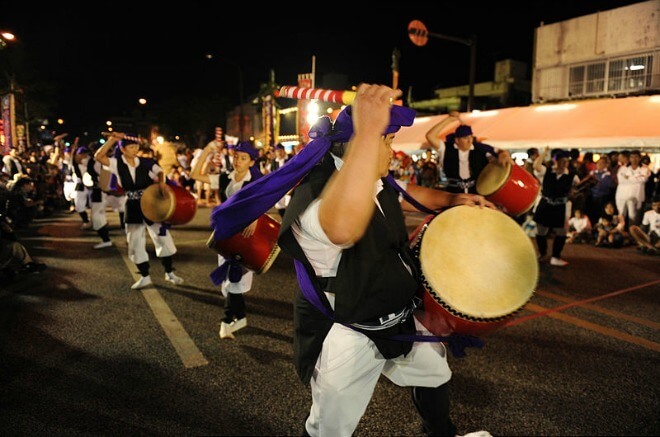 Originally they served a religious function, driving away evil spirits or bringing rain, but now taiko has experienced a revival with the renewed interest in Japanese traditions. Taiko drumming demands intense physical and mental training; the art of taiko often contains a spiritual dimension, as well as a demonstration of skill and strength. The San Francisco Taiko Dojo performing for the festival was the first taiko group in North America, and was founded by Grand Master Seiichi Tanaka in 1968. Mr. Tanaka is still the sensei leading the dojo and his teaching emphasizes the expression of harmony between the ki, or life force and i, mindfulness; this "Tanaka style" produces a deeply moving musical performance. Don't miss it! We can thank Sensei Tanaka for the experience of the taiko drums at our festival every year. When he arrived in San Francisco in 1967, he went to the SF Cherry Blossom Festival and found it to be rather blah: no loud drumming! From 1968 on, the cherry blossom festival has included the taiko drums. Sensei Tanaka and the SF Taiko Dojo have a long history of performing with the famous; they've played with the Temptations, Linda Rondstadt, Dave Brubeck, Bobby McFerrin, and the San Francisco Ballet, among others. In addition, you can hear them on the soundtracks of Return of the Jedi, Apocalypse Now, The Right Stuff, and Rising Sun. The dojo has also put out 5 albums. 2019 Taiko Drum Performances: Peace Plaza stage (Saturdays, April 13, at 11:30, April 20, at noon; Sunday, April 14 at noon); also in the parade on Sunday, April 21, starting at 1 pm. This year, there's also a Taiko concert with Grandmaster Tanaka & the SF Taiko Dojo. Saturday night, April 20, 2019, at 7 pm in the gym at the JCCCNC (Japanese Cultural Center), 1840 Sutter St. $35 adults, $30 seniors and students. See Taiko concert for more info and tickets. Martial Arts: demonstrations of karate, judo, kendo and naginata (swordstaffs). Traditional Japanese Music & Dance: performances on the the koto (Japanese harp), shamisen (stringed instrument), and Japanese flute. Also, various groups will be performing classical and folk dances: lots of kimonos, fans and parasols! Origami, Bonsai, Ikebana (flower arrangement), and Tea Ceremonies. Japanese treats: sample sweets and savories at the food booths. On Webster Street, between Post and Sutter. Arts & Crafts Fair: hand-made items and designs, 11-6 each day. Buchanan Street between Post and Sutter. 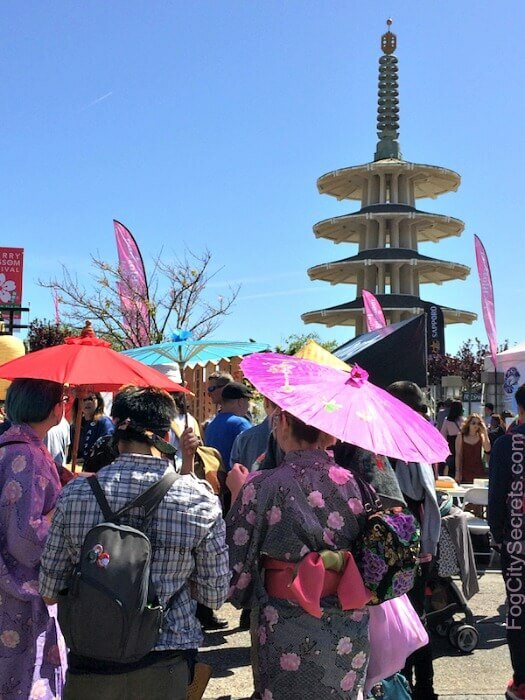 J-pop, the collection of elements of popular Japanese culture that includes anime, manga, Japanese fashion, cosplay, pop music, gaming, films, and more, is a big part of the SF Cherry Blossom Festival. Location: mostly on the Sakura 360 stage, on Buchanan Street between Sutter and Bush. See Sakura for the list of performers for 2019, and festival schedule for the times and locations. There's always some interesting films to see at the Cherry Blossom Festival. 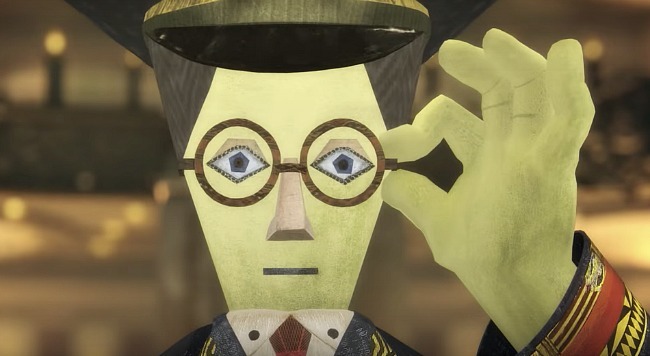 This year, there are nine films to choose from, six of them anime. Two films shown this year were nominated for Academy Awards: Shoplifters for Best Foreign Language Film (and which won the Palme d'Or at the Cannes Film Festival) and Mirai, nominated for Best Animated Feature Film. Scene from Mirai. "Are you lost?" The theater is in the basement of the New People Building, 1746 Post Street. It's a fairly small theater, so if you're set on seeing a particular film, I recommend booking your tickets in advance. We went last year, and the films were very popular. See Film Festival for more on the films and to book tickets. They've posted the trailers for each film there. Is it possible to get too much of Hello Kitty? You'll be able to decide if you visit the Sanrio Kids' Corner and the Hello Kitty Cafe. Load up on Hello Kitty mugs, t-shirts, cakes, doughnuts, and other goodies. This was very popular last year. This is part of the Sanrio Kids Corner (dates not announced yet for 2019), where there are games and crafts for the kids. Usually it's there for at least one of the weekends. On Post Street, next to the Kinokuniya Mall at Webster. 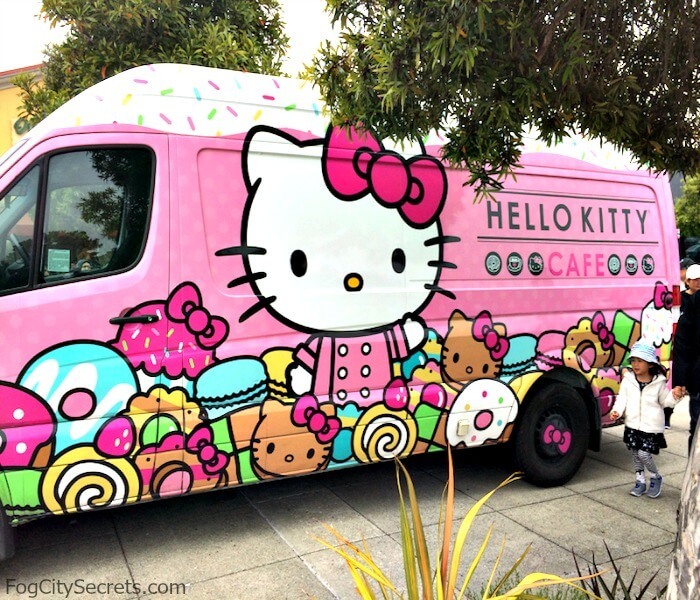 The Hello Kitty Cafe makes a few other appearances around town during the festival. The Grand Parade takes place the last Sunday of the festival, April 21, 2019, starting at 1:00 p.m. at Civic Center. It goes down Polk Street to Post Street, then all the way to Japantown, finishing at Post and Fillmore. Tip: Not only is the parade a fun and high energy event to experience, this is a great way to see lots of the performers at the festival. In addition to the floats related to Japanese culture, the taiko drummers will be there, along with classical Japanese dancers, folk dancers, martial artists, children's groups, marching bands, cosplay groups, and the newly crowned Cherry Blossom Queen and her court. Plus San Francisco Mayor London Breed. The grand finale: one fascinating entry in the parade every year is the Taru Mikoshi. This is a massive, hand-carried edifice comprised of a shinto shrine, plus huge sake barrels, weighing around 1000 pounds. It takes over a hundred people to carry it, and the public is invited to join in! The Taru Mikoshi arises from an event in which the new emperor celebrated his accession in 1868 by giving big barrels of sake to the leading families, resulting in one huge drinking party in Tokyo. The grateful citizens spent four days carrying the empty sake barrels around the city to show their appreciation. Want to help carry it? Sign up is 10:00 am Sunday, April 21, 2019, the day of the parade, at 1615 Sutter Street. Come in costume; carriers attend a private party and dinner after the event. More info and registration info, see Mikoshi carriers. The full festival schedule is now searchable by event, venue, and time, so it's easier to use. 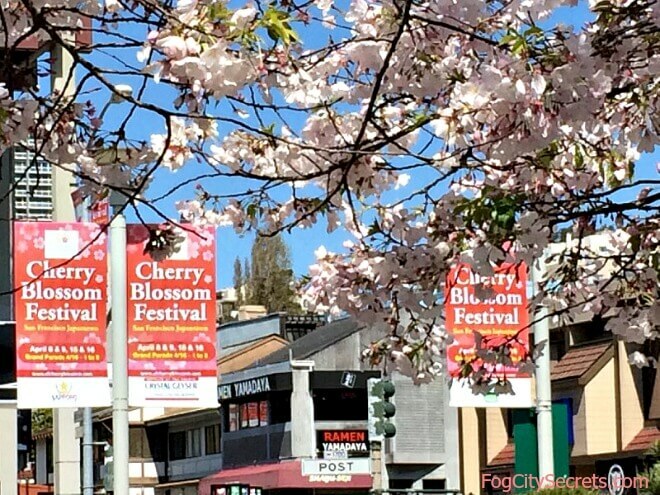 See Cherry Blossom Festival for the complete list of events. Times may change, so check again closer to the event. The block of Webster Street between Post and Sutter will be lined with tempting food stalls with lots of Japanese goodies, and more. There's also a beer garden at one end of it, with tables and chairs where you can take a break and hang out with a Sapporo. 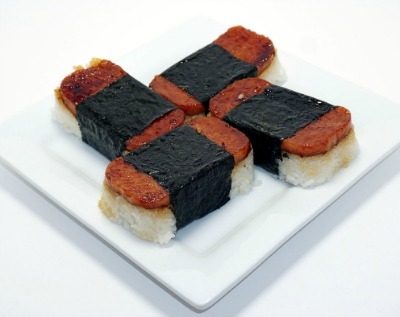 Spam Musubi - try some! In Japan, the custom of enjoying the viewing of flowers is called hanami, and usually refers to viewing the flowers of the Japanese cherry tree, or sakura. The custom dates back to around 800 AD; since then, flower-viewing parties have been held to celebrate the appearance of the cherry blossoms. Japanese Emperor Saga of the medieval period started the practice; the custom eventually spread to the samurai and then to the rest of the population. Feasting, drinking sake and reciting poetry usually accompanied the viewing. 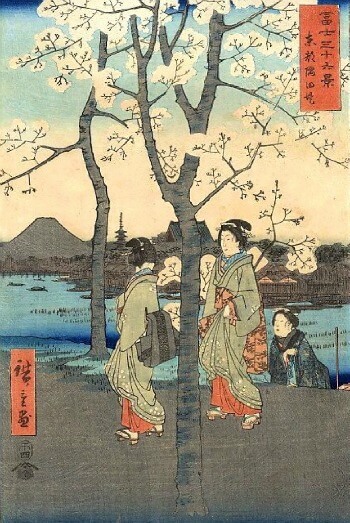 Nowadays, in Japan, the cherry blossoms are greeted with picnics near the trees in parks and the "cherry blossom forecast" is closely watched to time the events. Cherry blossom festivals are now celebrated all over the world. 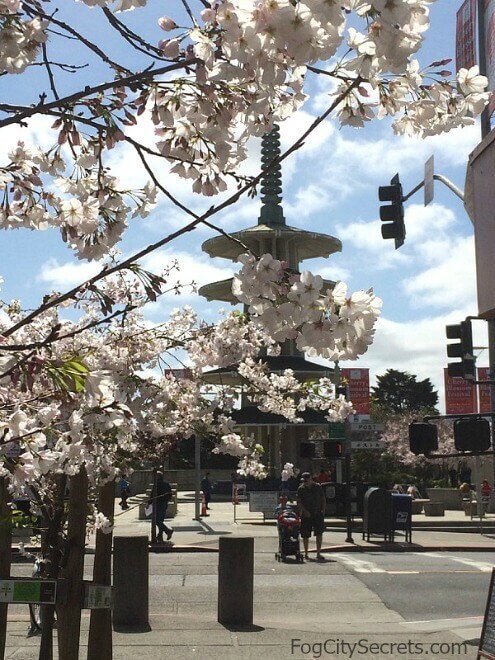 The festival is held in Japantown, which is fairly centrally located in San Francisco. Public transportation is easy, and driving and parking is possible if you plan ahead (lots of people!). The 38-Geary bus will take you directly there. Get off at the stop near Webster, just behind the West Mall. You can catch this from Union Square or along Market Street. 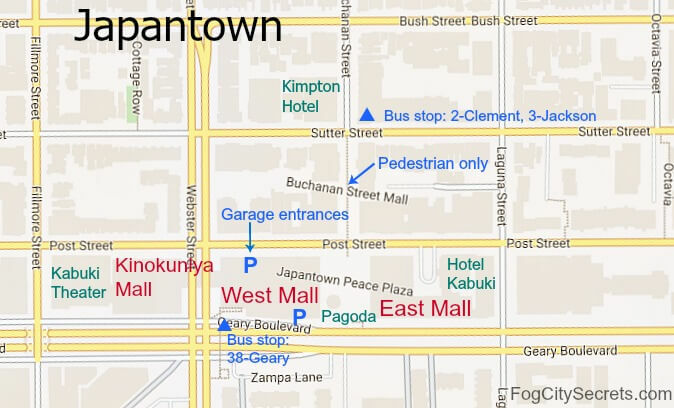 The 2-Clement and 3-Jackson buses will deliver you to the north side of Japantown. The stop is on Sutter at Buchanan, just at the entrance to the pedestrian block of Buchanan. Taking BART to the festival is pretty convenient. If you get off at the Montgomery BART stop, when you get up to Market Street, head back towards 1st Street half a block (towards the Ferry Building) on Market and you'll find a stop for the 38-Geary bus, which drops you right at Japantown. Driving here is the easy part. Normally, it's easy to park at the Japan Center Garage under the West Mall in Japantown, but so many people go to the festival, the garage will likely fill up early. 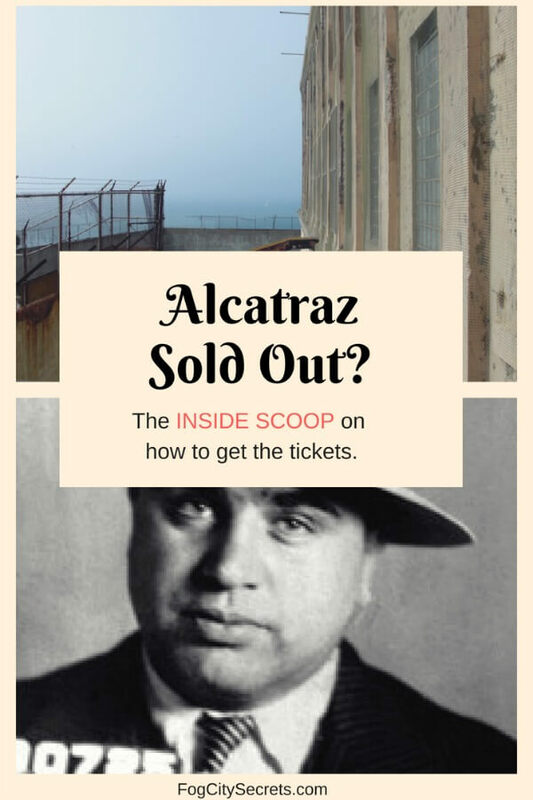 Crowds will make parking in the neighborhood challenging, too, and the surrounding area has an above-average crime rate, so you may want to leave your car in a garage or attended lot, sorry to say. Note: I may earn a small commission if you make a purchase through the link below, at no extra cost to you. This helps me provide all the free information I post on this website. Parking Apps. To make it easy, you may want to consider booking a parking space ahead of time. Less stress, and less circling! I've been using parking apps more and more for that reason. Check out Spot Hero for some good spots in the area. The Japan Center Garage doesn't do reservations, so the available garages will be a few blocks away. 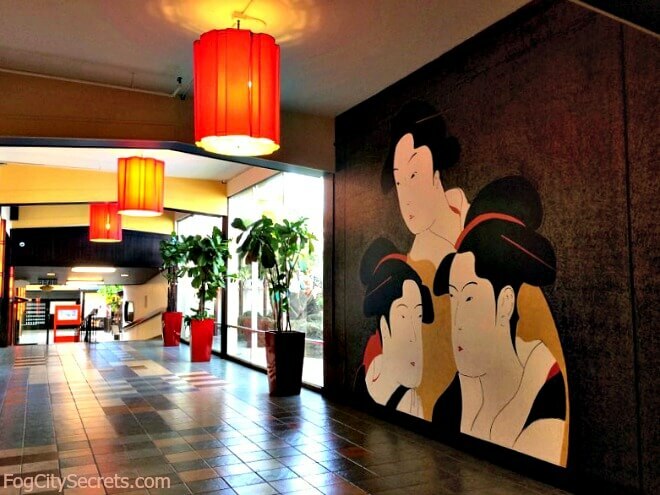 While you're there, check out the shops, restaurants, hotels, and things to do, in Japantown. 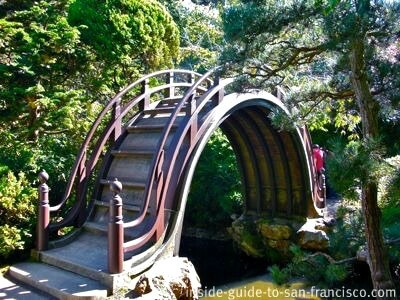 Tip: this is a great time of year to visit the Japanese Tea Garden. Their cherry trees will be blooming as well; so pretty!